The snow looks absolutely stunning in the winter but it will most likely cause some damage to your yard. Snow and ice can be extremely heavy making it hard for your yard to pop back up to its beautiful self when the snow melts. Bring your lawn back to life in the spring! Here are some key lawn and backyard repair tips that will help you get a thriving green yard once again. First things first, clean your lawn. The winter winds blows around debris leaving you will piles of random branches and junk in your yard. Who knows what other miscellaneous items can end up on your lawn! Use a rake and clean up all the debris that is keeping you from seeing your grass. Your garden and yard equipment has been sitting in the shed all winter long. Before you use them, inspect the equipment to see if you need to fix anything. Some equipment might need replaced as well. Here are some pieces of equipment to check before you use them. And here is what to check for and repair if needed. When your tools are all ready to go, get to work making your yard lively again! Have little bumps and dips in your yard? 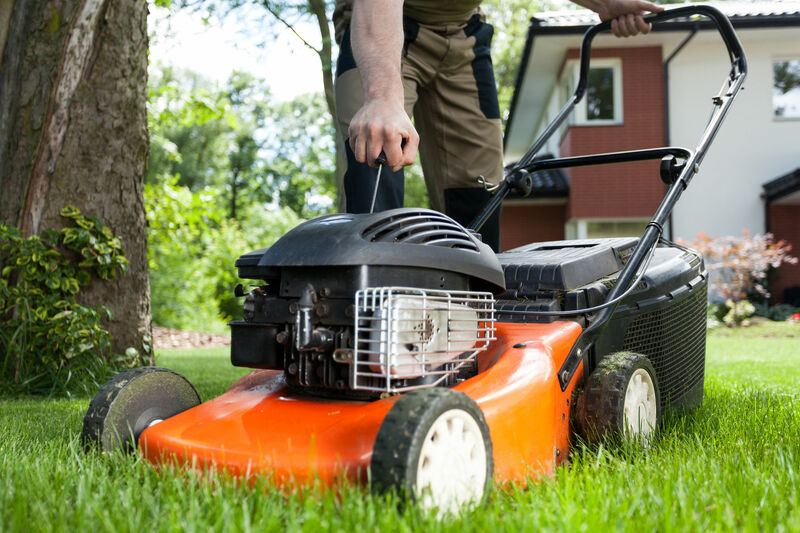 Your lawn may need some repairing after the harsh winter months. The heavy snow fall that melts in the sun can leave puddles of water. This water can sit in certain areas of the lawn making it uneven. To fix this issue, first check if there is a drainage problem causing these wet spots. If draining is not the issue, you can start leveling out the ground! You can do this by laying soil in the low spots. Pack the soil down so that its level with the rest of the ground. The key here is to be patient. Water the soil and wait patiently for new grass to grow. You yard will be level again in no time. It’s best to do this in the spring so that your yard is ready for summer! 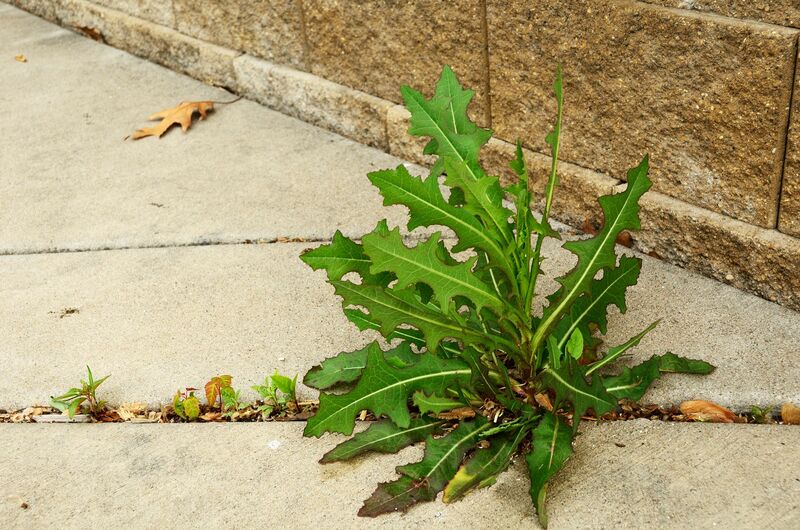 Ice can also damage your sidewalks depending on how bad the winter is. Cracks can appear just on the surface or they can go the whole way through the concreate. Check out the The New York Times, they explain how to fix this problem. If you don’t fix it properly, the problem can reoccur again and again. DIY Network simply defines aerating your lawn as the process of getting oxygen to plant roots. From the snow and ice being super heavy on the grass, the ground gets packed pretty good. This leaves little room for oxygen, nutrients, or water to get deep down into the grass and roots. When this happens, your yard doesn’t get fed they way it needs to and your grass won’t look exactly how you want it to. You can hire a professional to come aerate your lawn for the most convenience. But there are some easy ways you can do it yourself. To do it yourself, some strength and hard work is involved. You can purchase a manual aerator if you have a smaller yard. If you have a bigger yard, you would have to rent a plug aerator that is powered by gasoline engines. Pick the best way to go about it considering the size of your yard and the set budget you have. Your hard work will definitely get noticed. With these action tips, your neighbors will be asking how you made your lawn look so beautiful!